I’m okay sitting in the car with my little boy. I’m coming to terms with a failed marriage (twice attempted, twice failed, with the same person). What should matter is my children, my relationship with them and moving forward. And what should not matter is the negative flurry of slander, hate and anger behind me. It hurts. It hurts real bad. And I hate giving power to that pain by acknowledging it… But I guess healing comes with acceptance of pain and failure. What’s also hard is the backlash I have received from those closest to me. My family seems to only be able to tolerate the older children in doses, and the youngest three scarcely at all. They are quick to point out my short comings as a parent… even quicker to jump on the backs of these three for simply being children. 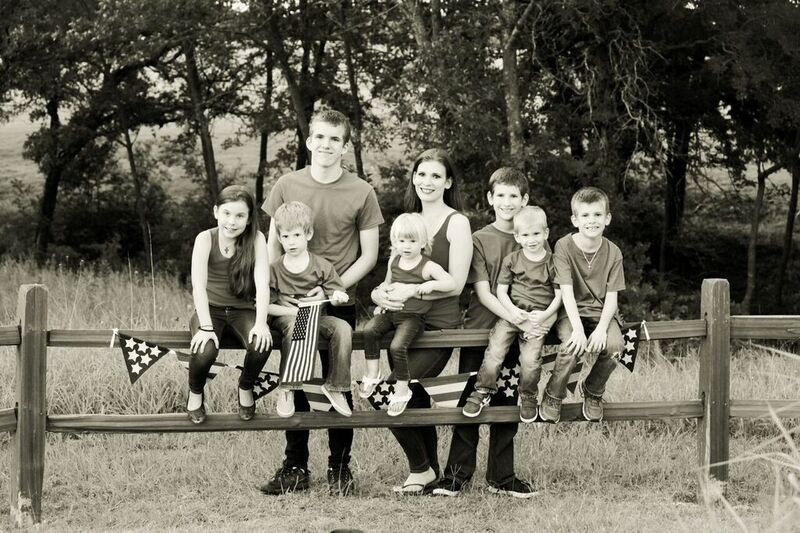 And then there is my ex husband’s side of the family… although only his parents have ever come to visit – and no more than a week a year, at most – there certainly wasn’t a shortage of pure evil, hateful messages from the siblings (who have NEVER visited in 16 years and never met the younger FIVE children). Thankfully, I’ve been able to keep a mostly loving and positive communication with his parents. As for the others, I should be strong enough to dismiss their unfounded judgment and just focus on the beautiful, innocent faces in front of me. But it’s hard. Real hard. I wonder… do my parents, his parents, [some of] my siblings and his siblings, random acquaintances, etc, ever stop to remove the log from their own eyes? Do they really think that through their actions they are lifting up a woman and her children? Or worse, are they trying to bring her to her breaking point? Meanwhile, I struggle to pray, struggle to bring my children to church. I wake up daily and make my kids food adherent to a diet for those on the spectrum. I cry and work through the tantrums of the little ones. I struggled for 8 years to home educate because I felt it was best for my kids. I try to help a very moody and emotional, freshly-minted teenager navigate through his complex emotions and new life changes. All the while, trying very hard not to let myself succumb to the negativity and hatred from those I love the most, outside my children. Life is always a struggle. One beautiful struggle after another. And if I can come out of one, I trust that God will carry me and mine through the next battle. And when I cannot pray because in that moment my faith is lost, I hope that God sees me through those moments as well. And when I want to hate in return those who have hurt me over and over again, I beg that God give me the patience and love not to do so. After all, none of us are in any place to judge another. My struggles may be unbearable for many, but for sure, there are so many families in the world who face much worse. We are all broken. And those of us brave enough to admit that are just trying to find our footing each day. At the moment, it’s sitting in the car with my sweet boy so he feels safe with me from the noise of the fireworks… tomorrow I don’t know. This entry was posted on Tuesday, July 4th, 2017 at 11:15 pm	and tagged with autism, autism spectrum, big families, big family, children, compassion, divorce, family, God, hate, heartache, kids, large families, loss, love, mercy, motherhood, orthodox, orthodox mom, orthodoxy, pain, parenting, spectrum, strength and posted in Uncategorized. You can follow any responses to this entry through the RSS 2.0 feed. You are trufa marvel to me! This kind of victimisation is ugly, it reminds me of how hypercritical Church goers often are. These people couldn’t and wouldn’t do what you do, they see you struggling and they criticise as if to be helpful. Thank you for sharing your experience, and know there are those who support you.